"You've come a long way baby" This specific advertising gimmick of the Virginia Slims cigarette reminds me of my adventure through the magnificent Andes mountains. It was my life dream to make this trip and it finally came into fruition. As a first time lone traveler at the young age of 22, I was initially nervous about what to expect on my journey. However, after meeting my guides and tour group, I couldn't have felt more at home. Though physically demanding at times, this trek proved to be more beautiful and self-fulfilling than I could have ever imagined. 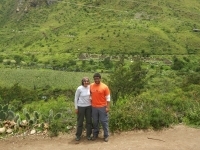 This trek certainly would have been 5 stars had it not been for a few factors. 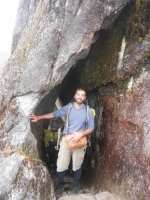 Namely, the hiking level of the trekkers was vastly different, which led to a horrible mismatch in timing. 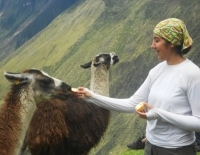 The Inca Trail has been on my traveling agenda for some years. 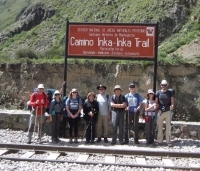 The Inca Trail Reservations company and in particular the diligent staff that accompanied us throughout the four day hike made the adventure one hell of an experience. Who laughs when climbing 4000 ft ? Our group did. 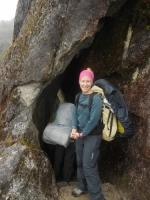 What an amazing adventure that pushes someone who isn't a hiker to do what they thought they could never do. We couldn't have done it without the guidance of Paul. Extremely knowledgeable, funny, personable, all while caring for all of us. He set the expectations for each day, and at important spots would share the history. I would not have wanted the trip any other way. 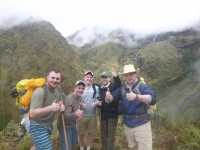 Our guides and porters were amazing. 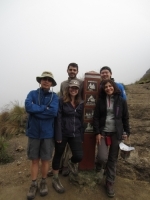 I enjoyed the fact that several nationalities were represented in our group. Even though our group included 5 of my best friends, we grew close to the Swedish men that accompanied us. It was fun to compare backgrounds and cultural experiences. Originally, I thought that this would be a casual stroll with a backpack through the jungle. I couldn't have been more wrong. 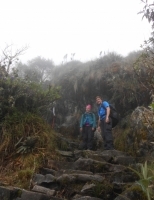 The trip was very physically demanding especially the second day. The food was great throughout the trip and each meal seemed to never end. I enjoyed the time that I had on the trip. The staff was very helpful, and we're very helpful for us. 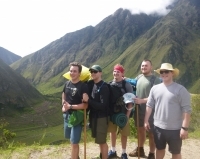 My favorite memory was completing the entire Inca Trail in 3 days instead of 4. We had to do this because a campsite was closed due to weather. Didn't quite know what to expect on the trail but everything was incredible. The trail and the stories were great but my favorite part was the blending of many nationalities and cultures. I have never really spent so much time in close quarters with people from different countries. El Camino del Inca era una cuenta pendiente que tenia hace tiempo y que creía ya no iba a realizar por la dificultad que supone. Ciertamente fue una experiencia bastante exigente a nivel físico pero muy estimulante. Hola ! 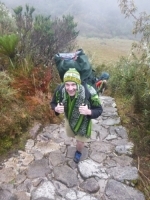 Soy Fred, de 31 años, y el Camino del Inca fue la última parte de un viaje de tres semanas por Bolivia y Perú. Aunque en un principio no tenía pensado hacer el camino, tras los consejos de amigos, decidí hacerlo. Y desde luego no me arrepiento para nada ! Cuando uno finaliza el camino es cuando realmente se da cuenta de su sentido. En carne propia se siente lo que alguna vez nuestros sabios antepasados experimentaron, es una peregrinación en todo sentido. 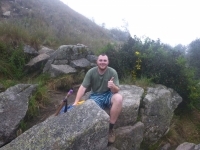 Hola soy Victor de Argentina acabo de realizar el Camino del Inca o Inca Trail de 4 días y a resultado una experiencia muy satisfactoria desde varios puntos de vista por que conocí gente muy buena, atenta y servicial tanto los porteadores como el guía.